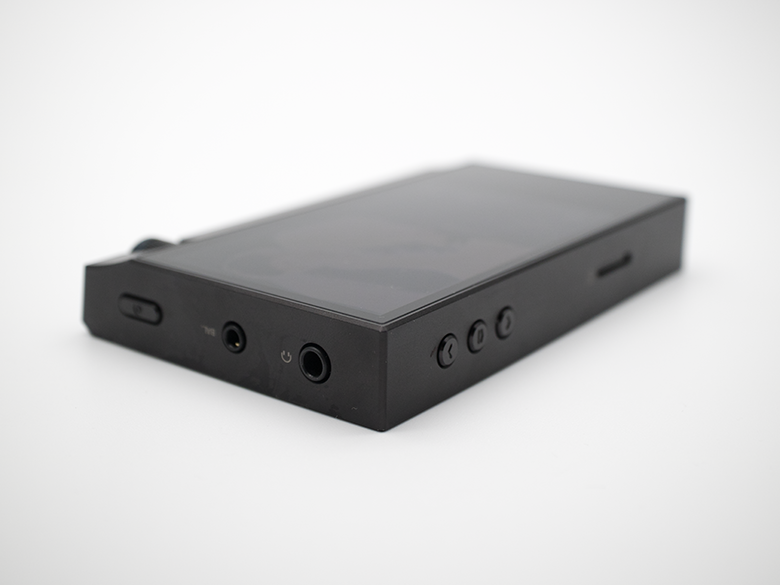 Astell&Kern announced in September, the AK70 MKII, successor to the highly successful AK70 which was first introduced in June 2016. 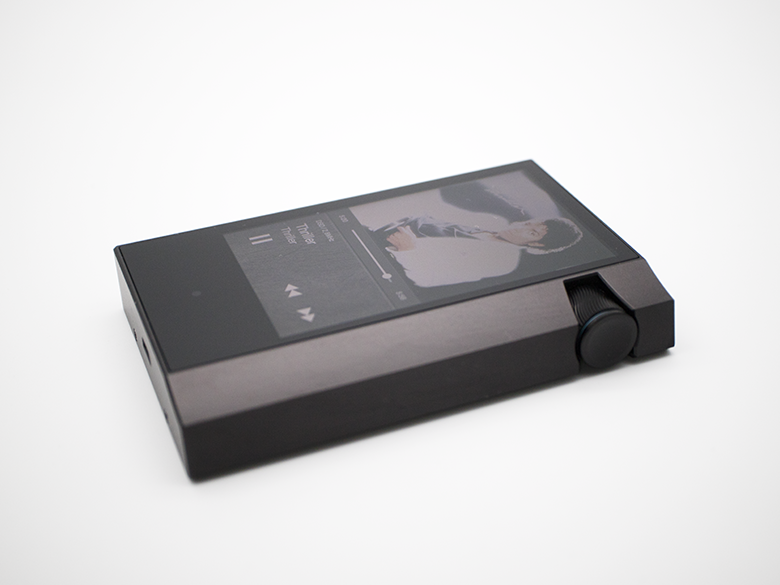 Weighing in at 150g (5.3 oz), it registers just a slight gain of just 12g from its predecessor, the AK70 MKII is dressed in a classy black finish and spots a slight aesthetic variance which includes a wave textured volume dial with a blue ascent as well as a slight increase in its dimensions in width by 2.5mm and thickness by 2.2mm. The slight variance is hardly noticeable and the AK70 MKII remains as pocketable a device as its predecessor, allowing for a comfortable one-handed grip. A newly designed internal circuitry, as well as a bigger battery, are the reasons behind the slight increase in dimension and weight. Featuring a dual DAC configuration comprising of two CS 4398 DAC Chips from Cirrus Logic, the AK70 MKII is the company’s first offering to be equipped with a dual DAC design under a thousand US dollars. The use of a second DAC chip allows the AK70 MKII to separates the left and right audio channels from input to output. This, coupled with a new amplifier circuit, offers an impressive and jitter-reduced balanced output of 4.0Vrms, significantly higher than the 2.3Vrms on the AK70. Like its predecessor, the AK70 MKII supports USB audio, allowing the device act as a digital music storage device which outputs digital audio via USB. DSD files are transferred in native format through DoP (DSD over PCM) and converts DSD to PCM for output for external USB Audio that does not support DoP. 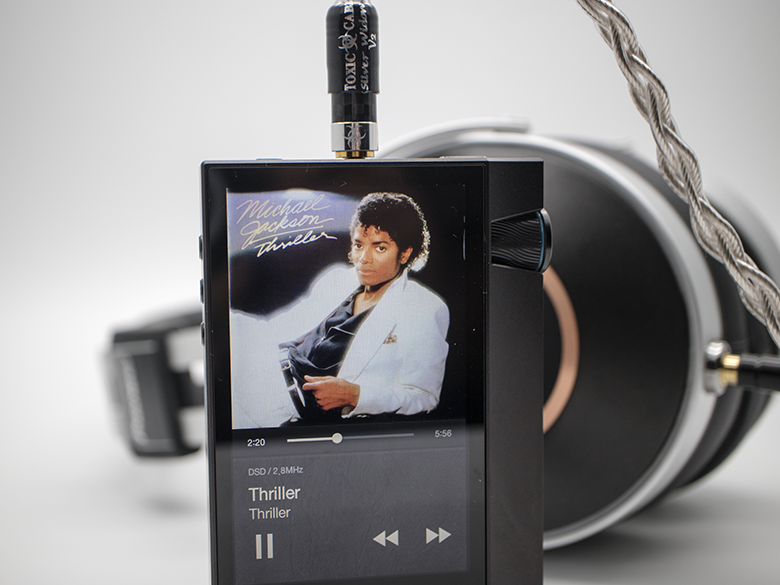 The AK70 MKII can also be used as a USB DAC to improve the audio performance of the output from your computers and smartphones. The AK70 MKII spots a 3.3-inch AMOLED display which exhibits high contrast colours with deep blacks through AK’s custom Android-based operating system. In a welcome move, the company retained the familiar user interface previously found on the original AK70, one that is simple to navigate yet comprehensive enough for a digital audio player. Access to streaming apps like Tidal is found in the “Store” folder. The sluggishness of the interface, however, is an area which the company’s software engineers need to look into as users today are spoilt by the responsiveness one expects from a touchscreen device. The oversized wave textured volume dial with the blue ascent looks beautiful on the side and provides an additional visual appeal while allowing users a greater level of volume control. The layout of external interface stayed the same with play/pause/skip/rewind keys and a microSD slot on the left, power/sleep button on top alongside the 3.5mm single-ended as well as the 2.5mm balanced headphone outputs while the Micro USB remained at the bottom. Built-in storage remains at 64GB, which is decent in my opinion. 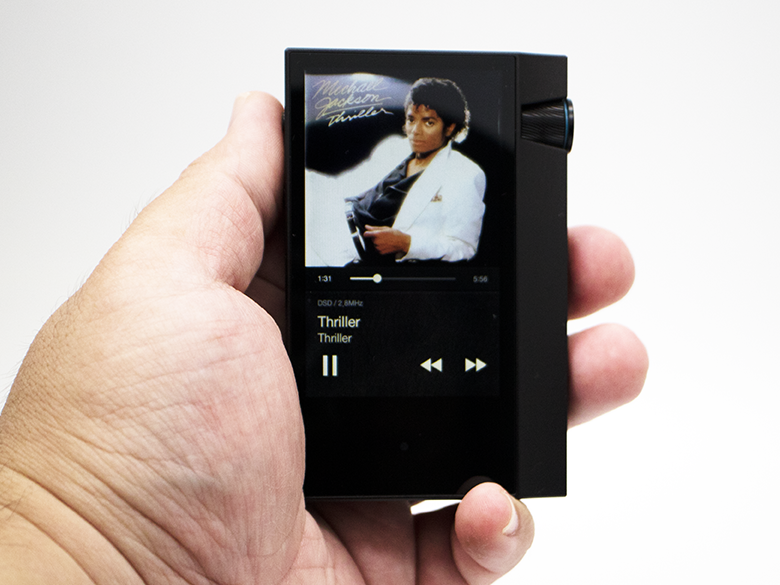 Astell&Kern have recently announced on the 8th of November that all Astell&Kern players now support up to 400GB microSD cards and that, of course, includes the latest AK70 MKII which is a lot of storage space for Hi-Res music files. The AK70 MKII accepts any resolution of digital files up to 24-bit/192kHz, bit for bit and accepts PCM files up to 32bit/384kHz which will be downsampled to 24-bit/192kHz. Similarly, DSD 64/128 will be converted to PCM 24bit/176kHz for playback. Formats supported include WAV, FLAC, WMA, MP3, OGG, APE, AAC, ALAC, AIFF, DFF and DSF. WiFi connectivity (802.11 b/g/n 2.4ghz) allows for network streaming as well as OTA firmware upgrades on the AK70 MKII. The availability of the AK Connect App which uses DLNA and Tidal offers different network streaming options, however, with many competitors supporting MQA, the lack of MQA support on the AK70 MKII is a glaring one and is something I consider to be a weakness in the offering. I have at the same time observed that the AK70 MKII runs rather warm when streaming Tidal as well as when charging. The AK70 MKII also features Bluetooth 4.0 with aptX HD support allowing one to use the device with wireless headphones and speakers when one desires to do so. I started my audition of the AK70 MKII with AK Connect and Tidal using a range of earphones into the single-ended 3.5mm output, these include the Bowers and Wilkins P9 Signature (USD 899.99), the Pioneer SE-Monitor5 (USD 999.99), the Dita Audio Dream (USD 1,800) and the Whizzer A15 (USD 69). Running a few of my test tracks via streaming, there is a distinct increase in the sense of space with a taller and wider soundstage. Stereo imaging was also clearer even when listening through the Whizzer A15. I then move on to the Hi-Res music files and started with a DSD 2.8MHz version of Spanish Harlem by Rebecca Pidgeon, the improved level of dynamism was evident, rendering the piano and shakers around Rebecca’s vocals, the bass was particularly impressive in a tight, precise and detailed. Next, I played If The Stars Were Mine by Melody Gardot in FLAC (24bit/192kHz), the AK70 MKII reveals Melody’s vocal through a dreamy ballad of Latin dance beat with warmth and intimacy, exhibiting overall cohesion. The AK70 MKII has retained the neutral presentation of its predecessor while enhancing the level of clarity and dynamism. This translates into a clearer, cleaner and tighter experience over its predecessor. The AK70 MKII is not just another facelift model. 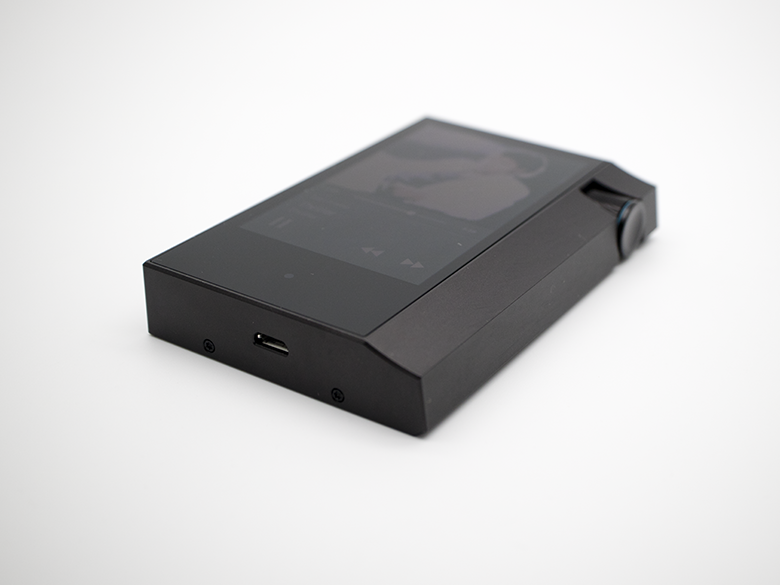 Astell&Kern has given the internals a complete overhaul, resulting in a device which exhibits significant sound quality improvement over its predecessor. Considering how good the original AK70 sounds, this is an impressive feat and has certainly risen the bar by a notch, establishing it to be one of the best sounding players priced below USD 1,000. This review unit is provided by AV One (S) Pte Ltd.